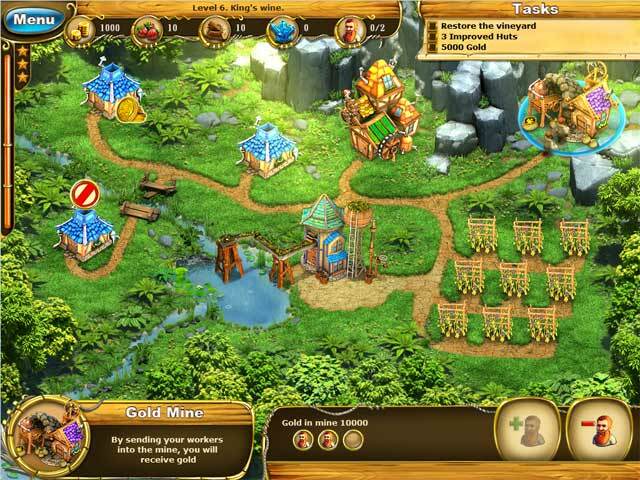 The good-hearted King of the Dwarves is relying on you to lead a building expedition! You'll need all of your wit and imagination to successfully oppose the merciless northern winds, save the homes of a desert's inhabitants from plagues of locusts, and battle a thick fog that threatens a priests' temple. Learn about ancient Dwarven talismans, save Yellowforest from wildfire, and help those who need it most in Fable of Dwarfs! Collect gold for completed tasks! Make your own Dwarven talismans! Fable of Dwarfs is rated 3.9 out of 5 by 45. Rated 5 out of 5 by Tracy925 from Great game Was looking for a TM game along the lines of Royal Envoy and Northern Tales and was pleasantly surprised by this game! Rated 5 out of 5 by ganjagamer from A Refreshing Spin On Time Management An absolutely charming game that brings new life to the time management/casual strategy genre. *Great visuals *Great audio *Responsive controls *Innovative gameplay elements *Lots of stages across 7 worlds *3 levels of difficulty *Decent story Overall a highly recommend casual game if you enjoy time management and strategy games. Well worth a game credit. Rated 5 out of 5 by tutortime from Loved this game! I love this type of game because they are so relaxing. This one was especially great because of the graphics. They were done in brilliant primary colors and the scenes beautiful for this type of game. I played the entire game in relaxed mode and loved it. Maybe later I will replay in the challenged mode. Rated 5 out of 5 by Brackenlady from Really enjoyed this game As others have said, if you like Royal Envoy or MKFTP type games tyou will enjoy this. While basically the gather resources, build buildings type it has a lot of variety. You can play it first on normal mode and then again on expert mode for an additional difficulty. Good graphics and for me just the right amount of challenge. Rated 5 out of 5 by terry1921 from Lots of variety I didn't buy this game at first because one review said there was no untimed mode, and I'm not terribly fast. However the times are set so that they aren't any problem to finish. I got three stars on most of the levels, with some two stars. The game is a lot of fun with good strategy. Sometimes you have to start over because you have boxed yourself into a corner and can't get whatever you need because of the way you have played it. The levels have a lot of variety and interest and I liked it very much. 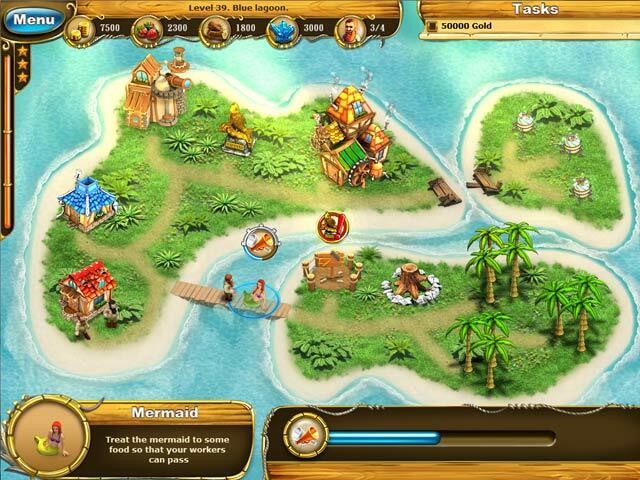 Rated 5 out of 5 by babe09 from Love this game!! I am currently on level 50 something, and I am telling you, the challenge (if your up to that sort of thing) is perfect. It's proven to not be an easy game, however it's packed with fun for me. It makes me think, and as a result, you will find yourself redoing some of the levels trying to figure out the best strategy to get to the finish. The characters are cute, and the timed levels I feel are generous. I hope you consider this game, as it's so worth it! Thanks BIG FISH. Rated 5 out of 5 by Yaelle from Excellent! I have nothing to say but that Fable of Dwarfs does what it does in a fun, fulfilling way. Its just simply great for scratching that TM itch. Good, solid game that leaves me with simply nothing to say! 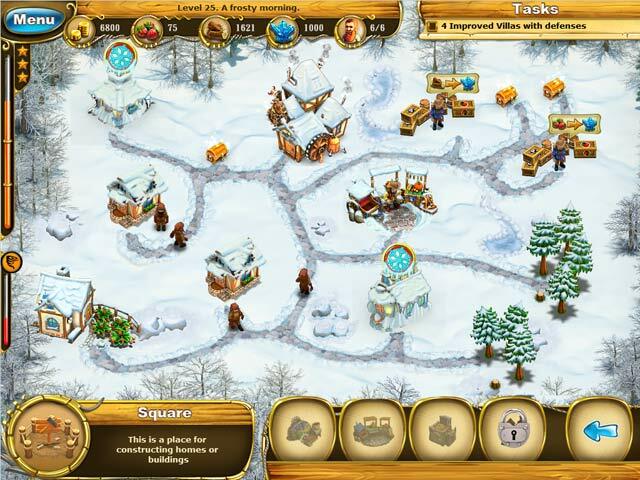 The King of the Dwarves is relying on you to lead a building expedition! 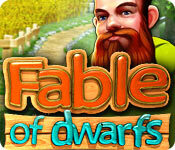 An exciting adventure awaits you in Fable of Dwarfs!